There is nothing worse that can happen to someone than letting anxiety and stress mess with someone’s flow in life. 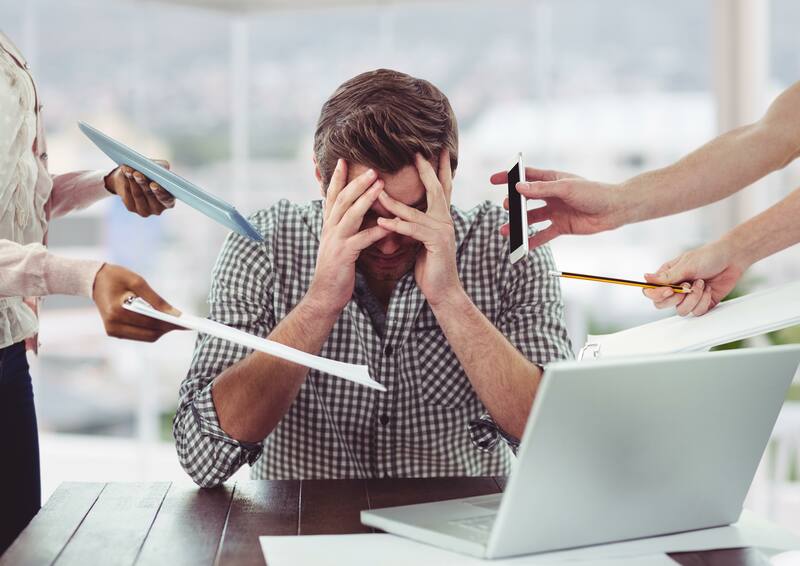 This stress can sometimes dominate someone’s train of thought, and that can only be bad news when you’re trying hard to do good work. Sit in a comfortable chair with your feet flat on the floor, and spend a few minutes doing nothing but breathing slowly in and out. Focus all your attention on your breath. Feel the air travel into your mouth, down your windpipe and into your lungs. Then feel your body shift as it pushes the air out of your lungs. You can also meditate just by going for a walk. All you need to do is focus on each step. Feel your legs move and your feet hit the ground. Focus solely on the act of walking and the sensations of your surroundings (the cool breeze, the hot sun, or the dog barking in the distance). When you feel other thoughts creeping into your mind, focus even harder on the sensation of walking. Focusing on something that’s second nature is refreshing because it alters your frame of mind as you turn off the never-ending stream of thoughts that normally dominate your attention. You don’t even need to stop doing what you’re doing to practice mindfulness. All you have to do is focus all of your attention on what you’re doing without thinking about why you’re doing it, what you should do next or what you should be doing. Whether it’s the gentle stroke of your fingers on the keyboard or your posture in your chair, you can direct your attention from your thoughts to your bodily sensations at the spur of the moment. One of the main goals of mindfulness is to stop the steam of thoughts that cycle through your mind over and over again each day. Funnily enough, a great way to do this is to choose a short, positive message about yourself and to repeat it over and over with each breath to keep your mind on track. A great phrase of choice is “I am capable.” The simplicity keeps you grounded in the exercise and keeps other thoughts from taking over. The right phrase also builds a little confidence, which never hurts. Any moment when you feel stressed, overwhelmed or stuck on something is the perfect moment to practice mindfulness. Just stop what you’re doing, let the thoughts go for a moment and practice your favorite mindfulness technique (breathing, walking or focusing on body sensations). Even a few minutes of this can make a huge difference in quieting your mind and reducing stress. You’ll be surprised how reasonable things look once you’ve taken a few moments to clear your head.